Introducing Petpet Park: The Best Virtual World EVER! 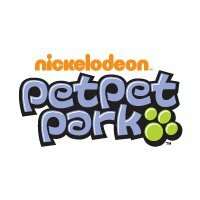 Petpet Park is a virtual pet website launched by Nickelodeon Kids & Family Virtual Worlds Group in October 2008. The site is created by the Neopets team, the creators of Neopets and Monkey Quest. The game features a new virtual world focused on Neopets' companions, Petpets. There are six Petpet species in Petpet Park to choose from. Once chosen, users can help train them through games, activities and challenges and can customise them and take them out to explore the park and meet friends. There are many new features in Petpet Park compared to Neopets, as well as similarities, like Premium Items being purchased from the NC Mall and many more! Petpet Park was sold to Jumpstart Inc on March 18th, 2014, and subsequently shut down due to JumpStart's inability to port the game over to their new servers on August 18th, 2014. Taking a Walk in Petpet Park...and lots more! Petpet Park was an integral part of UltimateSpongeBob101 since we began. We actually had two Petpet Park channels prior to launching the NickVirtualGames channel and that's where our Petpet Park activity truly grew. Now that Petpet Park is gone, we managed to preserve some of the memories through our channel, including long-lost clips, and of course, the amazing soundtrack! Petpet Park was one of the right things Nickelodeon got involved in, and it'll always be memorable. Check out our NickVirtualGames channel for more Petpet Park, Monkey Quest and Neopets videos today!